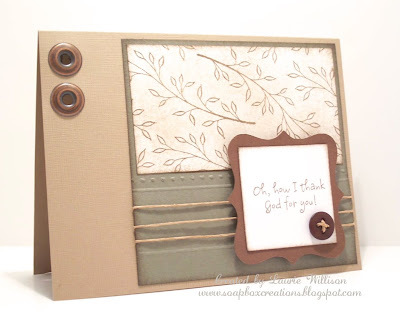 The sentiment is from the new set called "Sunday Stroll". 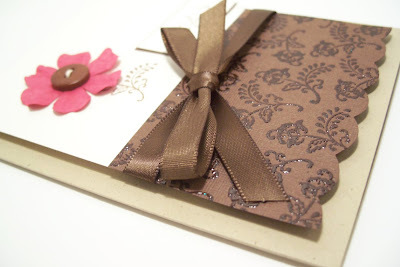 I used Kraft cardstock and TAC's Brown Cardstock. The faux stitching is with Tombow White Gel Pen! Sure adds a fun little touch! And one more bit of news for all my customers! 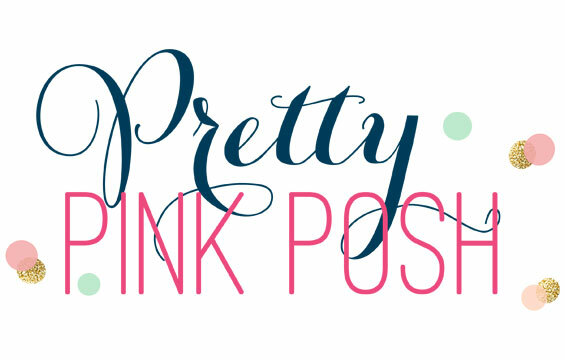 We no longer have "GWP's" (Gift With Purchase), we have "PWP's" (Purchase With Purchase)! These new stamps are larger in size and can be purchased for $2.95 with every $30 purchase! Here is an example of one of the new stamps! I am loving it!! Wanted to share one more picture with you! Here are me and some of my favorite people! 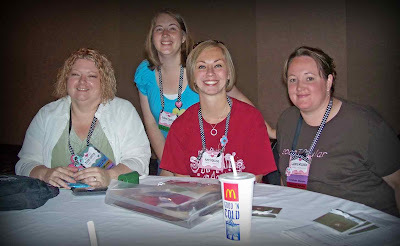 Left to Right, my WOSFF, Barb Foster, Sarah Gilreath, Amy Kolling and me! This was one picture out of LOTS that actually came out. My camera did not work so well in the dark! I traveled to seminar with Jen Carter and am still trying to "fix" some of the pictures of her and I! 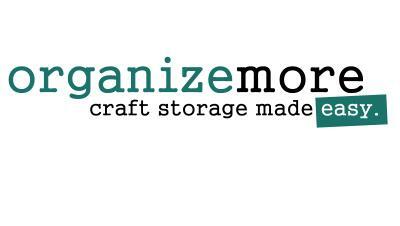 Anyway, let me know if you are interested in a new catalog! They are $4.95. Email me or call and I can save one for you! 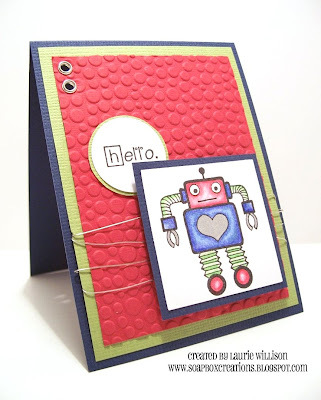 Stay tuned this week for more fun projects using the new stamps! Ok! 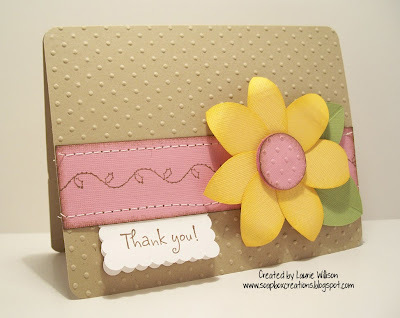 Last day of our TAC Inspiration Blook Blog Hop! It has been fun to share just a few of the new sets that will be featured in the new catalog! The first card uses another of the Angels in the set from yesterday! (I will edit as soon as I get the catalog!) I just love all three angels that come in this set, along with all the senitments! This card is definitly different than my usual. But I really like this "tree" stamp that I turned into a flourish! This set is called Flourish Trees of Hope! There are serveral trees in this set along with several words....Pray, Love, Hope, Discover, Imagine, Explore and Dream! 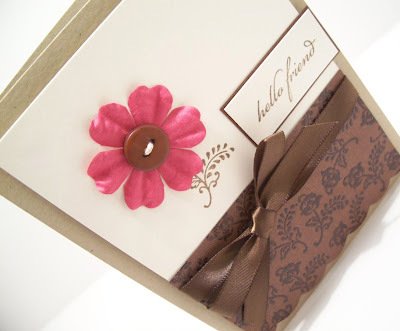 Check out Barb's blog and Melisa's blog too, for more projects using the new stamps! We are home with our new Inspiration Books today! Call or email me to reserve your copy! 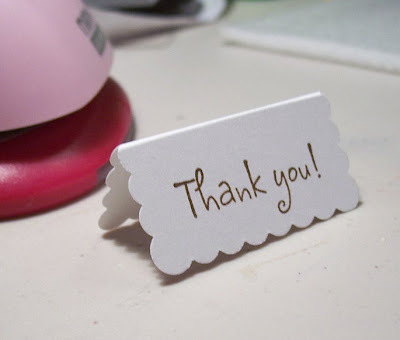 Thanks for checking out our blogs and we hope that you are as excited as we are about the new catalog! 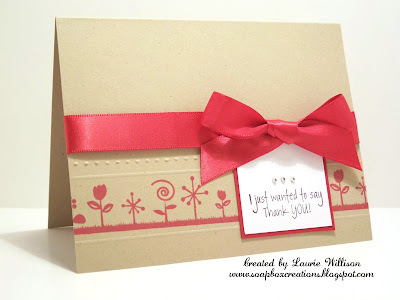 Welcome to day 2 of our fun little blog hop! 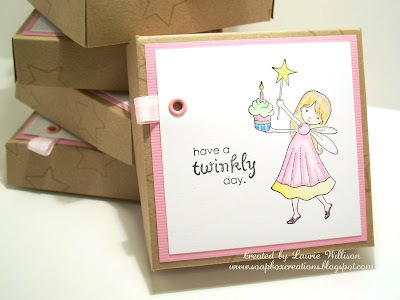 Today I have 2 more cards for you, using new stamps from The Angel Company Inspiration Book! 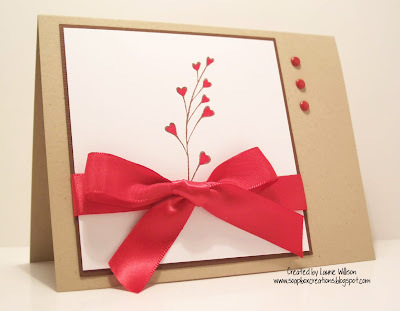 This first card uses 2 sets, Happy Thoughts and Sunday Stroll. This card shows another new set. (Again, I am going to have to come back and edit when I get the name!) 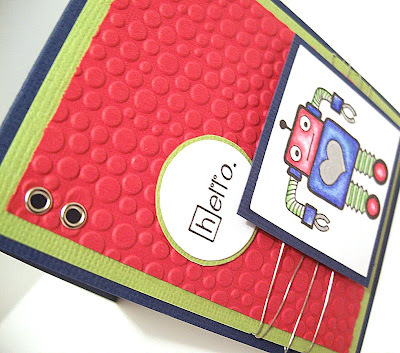 I used my Scor-Pal for the background and added small cirlces made with a hole punch! I just love it! 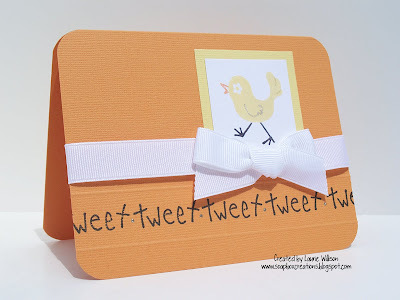 Don't foget to hop over to Barb and Melisa's Blogs too! Here we are the first full day of The Angel Company Seminar! I just wanted to hop on here and share my swap with you! It is nothing fancy but it does use 2 of the new sets. In fact they are SO new that I can't even find the names to one of the sets. SO, when I do, I will get back on here and edit this post! 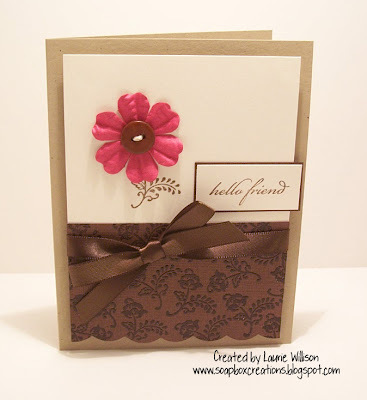 The postage stamp set is called Friendship stamps! It includes 3 other images that are really cute! 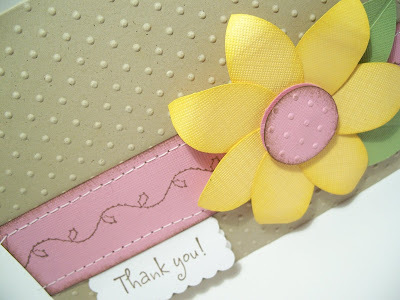 I used TAC's Olive Cardstock, White Ultrasmooth and Lily Anna White Grosgrain ribbon. I also added a few touches with my Scor-Pal and Scor-Bug! I had to mark the occasion by using our Seminar set as well! Here is my "roomie gift"! I just made simple mini-pizza boxes and then stamped one of the new images on the top! Nice and simple since I am running out of time! I added a little bag of cookies inside! Barb, Melisa and I are going to be sharing some sets with you over the next few days! Stay tuned for more new Angel Company sets!! Don't forget to check out their blogs too! Added a little Scor-Pal, a little Scor-Bug, a little Scrapper's Floss and there you have it! Won't be posting tomorrow! Leaving for TAC SEMINAR!! I am so excited! I will be bringing back the new catalogs so call or email me to reserve your copy!! 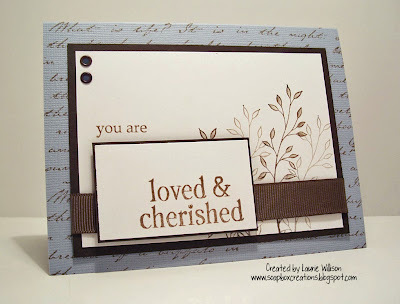 This just uses TAC's Ordinary Greetings and an old GWP stamp! It made the cutest background! That's all for today! Thanks for looking! 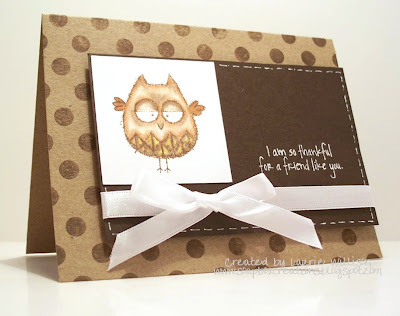 Recently, my super WOSFF (Web-O-Sphere Friend Foever) Barb and I exchanged some stamped images! She sent me some adorable new robots! So I had to make a card for her. I have to say I really like these guys! I totally "borrowed" the wire idea from Barb! You can see her adorable card HERE! Thanks for stopping by today! Hope you have a great weekend! I am the host for the Color Combo over on Paper Wings. Many of you have asked where these challenges take place, so I thought I would post them here as well, so you can play along! 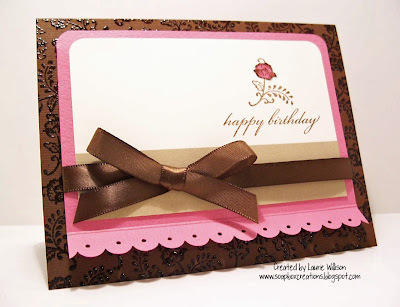 This is the card I made using TAC's Scarlet cardstock, Bazzill Brown and TAC's White Ultrasmooth Cardstock. I got the inspiration from this card here. I just love the colors! 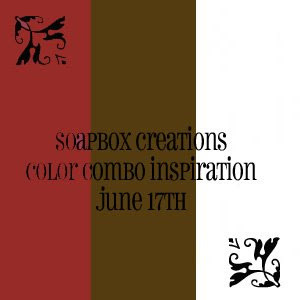 If you are inspired by these colors, whip something up and post a link in a comment or email me so I can see! Just a quick reminder that The Angel Company's June Promotional Sets are only available for a little while longer! You can see those sets HERE. Also, you can still order from this current catalog until June 25th! HERE is the discontinued list! 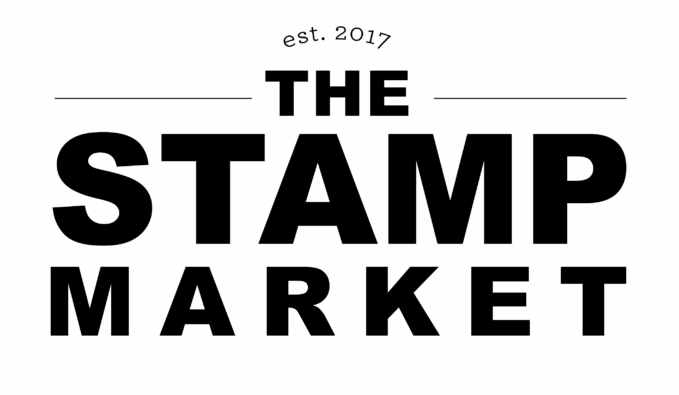 All stamps on the list are 25% off!! Here is a quick sample using 2 of the June sets! I used the cloud in Punk Princess to make the tree and the adorable little bird is from "whooo"! The birds in this set are so cute!! 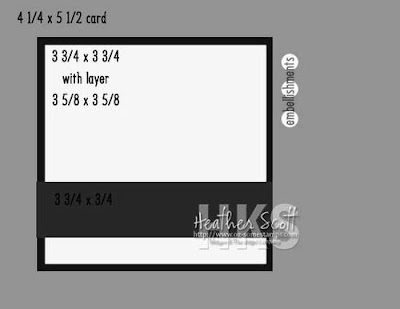 This is a gate fold card I made using the simple guides on the scor-pal. I love the colors! Bright and summery! Father's Day is pretty close here so if you are needing some last minute gift or card ideas, this is the place to be! 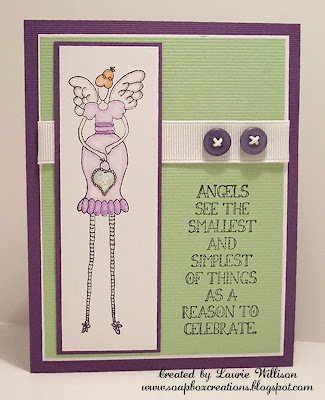 Some Angel friends and I are having a Father's Day Blog Hop! 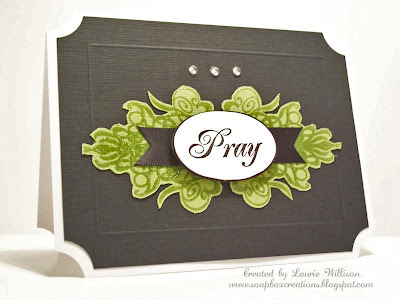 I used TAC's Script Background on the Aspen cardstock. 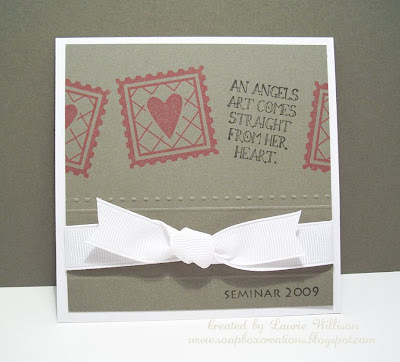 The paper I used is the Willoughby Collection from The Angel Company. I was so happy to see that one of the tags that comes with the set, fit perfectly as a "tie"! How cute is that? 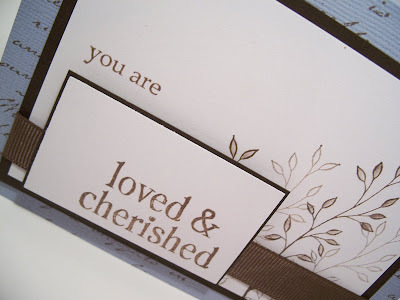 And then a sentiment from Tag Tidbits! I made this shirt using my Scor-Pal. So fun and easy! I got the directions from my Scor-Pal group. 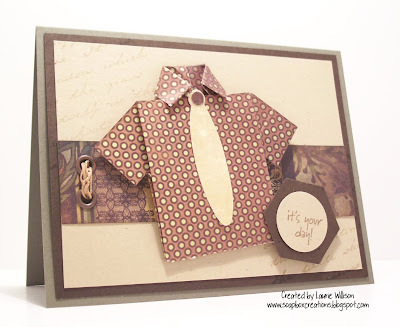 Go HERE to learn how to make your own "shirt" card! 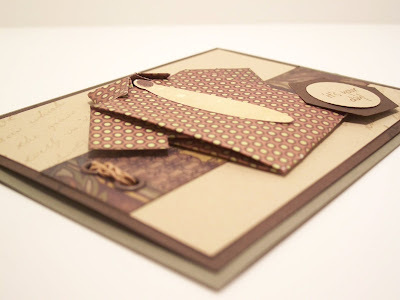 Click on these links below to see some other Father's Day creations! Just a quick post today using Heather's Sketch! This would make a good "love you" card or just about anything! Without the sentiment, it makes it kinda universal! June 3rd was my 9 year Anniversary! My husband gave me a fantastic gift card to Hobby Lobby, as well as a night away from the kids, with dinner and shopping! So, I had to make him a card! I realized that in all my stamps, I don't have any anniversary sentiments. So, I picked TAC's You Are. I think it fits pretty well! I think I did an ok job of making this "somewhat" masculine card! He liked it! The background is TAC's Script Background stamp. I just love that stamp! 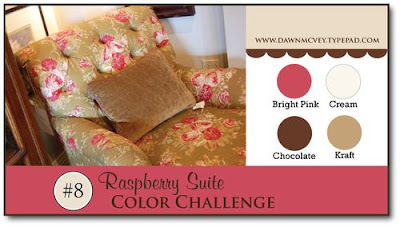 Raspberry Suite Color Challenge #8! Time for another fun color challenge! I love the colors Dawn picked out this time! That chair looks super comfy doesn't it? 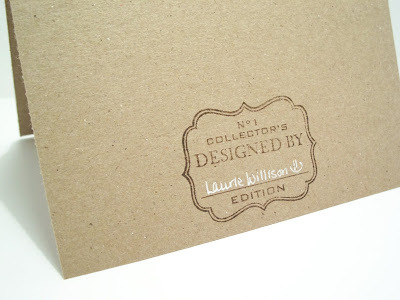 Can you see the embossing? 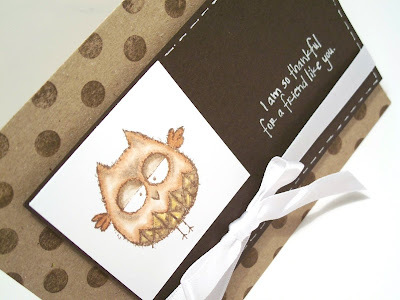 I used Versamark to stamp the image and then clear embossing powder so I could stick with the "brown" in the color challenge! I was really happy with how it turned out! Here is the second card! Same exact stamps and paper, different layout! 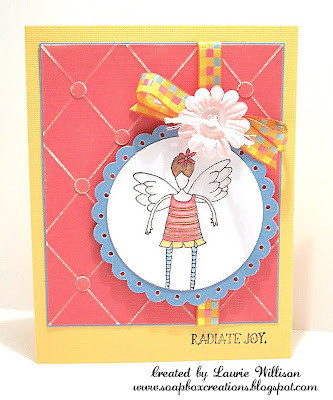 This time I had to use my ruffle I came up with for the Scor-Pal Blog Hop! I think it adds alot to a card! Just a quick post today! I want to share a card I made with the June Promo! To see the June Promotional stamp sets for TAC click HERE. Here is a quick and simple one! I love these little birds! 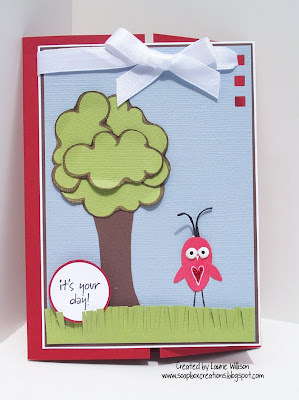 And for another card my friend Jen made, click HERE. Anyway, to grap one of these sets, email me at llwillison@hotmail.com and I can get a June order in for you! I am sure somebody has made a flower like this before but I just figured out! Ok, maybe I am a little slow! If not and this is new to you, come join in my excitement! 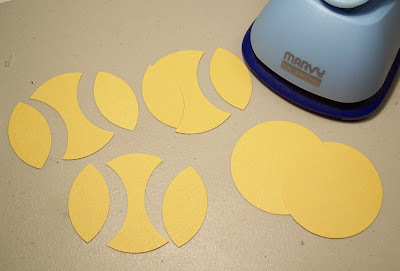 I do have a Cricut and I can cut out many styles of flowers that way, but I always want to stay true to my Marvy's! So with a little inspiration from my "leaf" how to and from Julie's "Dahlia" flower, I came up with this. Basically do just the same thing for the flower as the leaf from the other day! 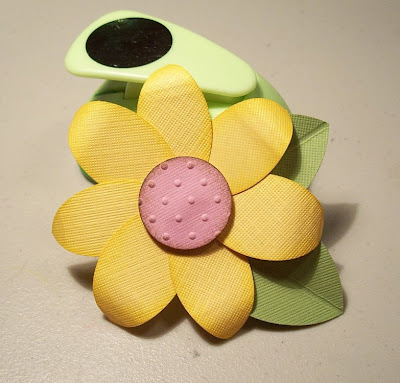 I punched out 5 circles and the punched each into 2 leaf or petal shapes. 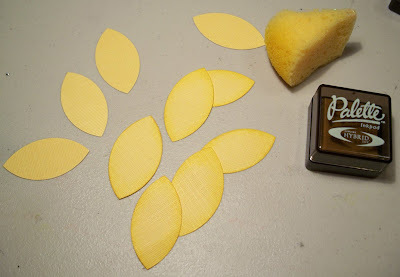 Here, I just took ink and a sponge to give color to the edges of each petal. I skipped a step in pictures but all I did was punch out a small pink circle and attached all of the petals to the back. 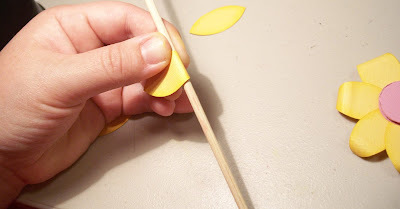 Once they were glued down I took a bamboo skewer and curled the petals under. This is just a picture of how I did that. You can see the finished flower off to the right. And here complete with leaves! I used the pink Mega Marvy Circle punch for the leaves on this one. The petals are made from the blue Jumbo Marvy. I also attached another small circle with a pop dot. 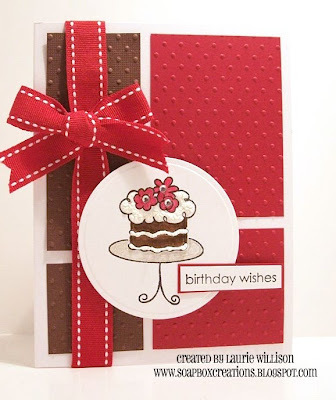 I ran that circle through the CB using the Swiss Dot Embossing Folder for some added dimension. 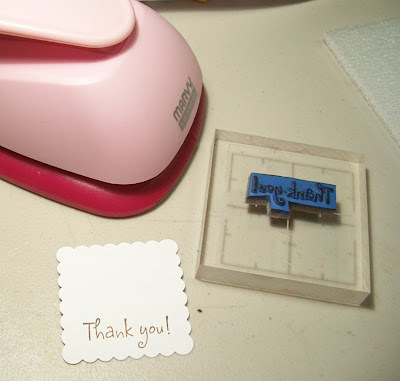 For the tag on the card I cut out a white scalloped square and stamped the sentiment on the bottom. I used my Scor-Pal to fold the tag in half!